See our latest video on our Youtube channel! 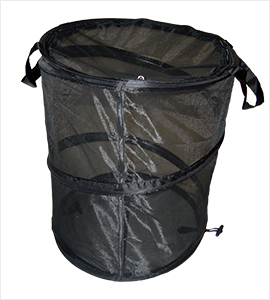 Parasitoid-resistant polyester mesh cages available in many sizes in black or white with optional vinyl window. 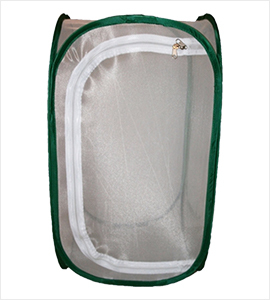 Ideal for raising many species of butterflies and moths using plant cuttings or potted host plants. 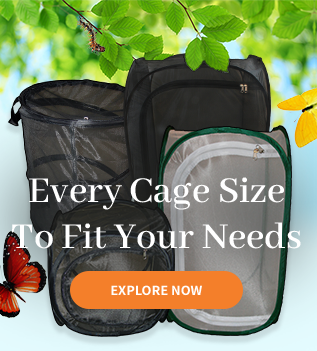 Work well with raising caterpillars, butterfly releases, emerging butterflies from pupae, or obtaining eggs from female butterflies. 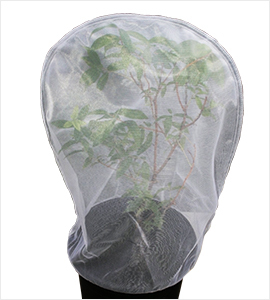 Ideal for raising butterfly or moth caterpillars that feed on the branches of deciduous trees and shrubs such as mourning cloaks, red spotted purples, checkerspots, silk moths, and others. 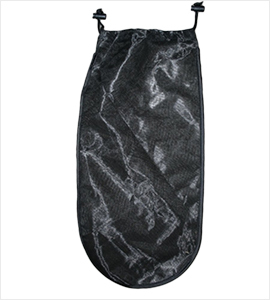 Handy for raising caterpillars on potted host plants or obtaining eggs from female butterflies by creating a snug fit over the lip of potted plants.